Trying to find the best dryer technician in Oshawa, Ontario? You don’t have to search further than our company. We employ the best team for all laundry appliance needs. Our experts are all trained and qualified to do any dryer job requested. If you have a combo appliance, you can still trust our work. Everyone on our team is updated and certified to repair, install, and routinely service home clothes dryers no matter of the brand, type, and model. You just place a call to Appliance Repair Oshawa and all your needs are covered in a timely, affordable, and professional manner. 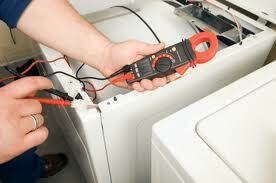 Why trust our dryer technician to perform repairs? Apart from fixing all models available on the market currently, we also respond quickly. There are all kinds of tools in our trucks which become our right hand during services. We use them to diagnose problems accurately and fix up the appliance. On top of that, our techs bring their experience. They are all very skilled and well-trained pros. With us, dryer problems are really fixed. Dryer installation must also be done correctly. So, if you get a new dryer, give us a call. The appliance must be properly connected so that air flow won’t be blocked and the dryer won’t vibrate. We have the skills to install dryers of all types. 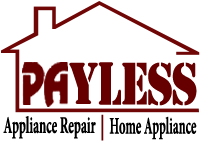 Just get in touch with our company if you need our help. Call our Oshawa dryer technician if you want the very best pro for any job.